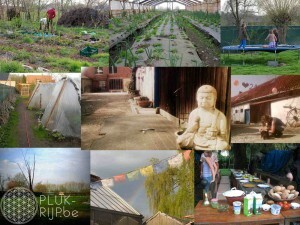 Transition to Sustainability: What did WWOOF volunteers at an organic farm learn? To cite (APA style): Malec, M. (2013). Transition to Sustainability: What did volunteers at an organic farm learn? (Master’s Thesis). Masaryk University, Brno, Czech Rep. doi:10.13140/RG.2.1.1689.1048. I have chosen to publish the thesis with a Creative Commons Attribution-ShareAlike 4.0 International License. Enjoy! Publikováno: 19.12.2013 18.6.2015 Rubriky: Sustainable cultureŠtítky: diplomová práce, Graduate thesis, permakultura, Plukrijp, resubmitted versionNapsat komentář pro text s názvem Transition to Sustainability: What did WWOOF volunteers at an organic farm learn?